Cairo International Airport authorities deported 276 Syrians arriving from Beirut and Damascus Monday night, citing they were missing security permits and proper entry visas. According to Al-Ahram Arabic website, Egyptian authorities laid down new conditions for admission into the country within a few hours before their arrival. While Syrians were unconditionally allowed entry before Mohamed Morsi's removal, a visa and a security permit are now mandatory. An airport official said that 200 passengers arriving on a flight from Damascus were deported, along with 76 others from Beirut. The deportees were not given a grace period and were shocked to find that they would be sent back upon their arrival. The source added that Egyptian authorities have intensified security lately, especially on the country's borders. Syrians have been receiving humanitarian aid in Egypt since the Syrian uprising broke out in March 2011. 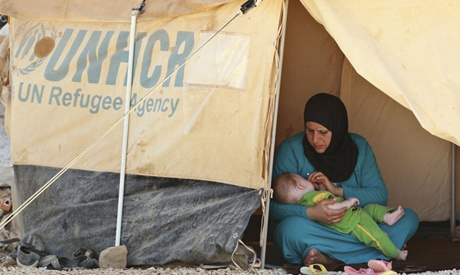 There are 70,140 Syrian refugees registered with UNHCR in Egypt. The security concerns are justified. Nevertheless, the Syrian passengers should have been informed of the new visa regulations BEFORE travelling, not upon arrival to Cairo.